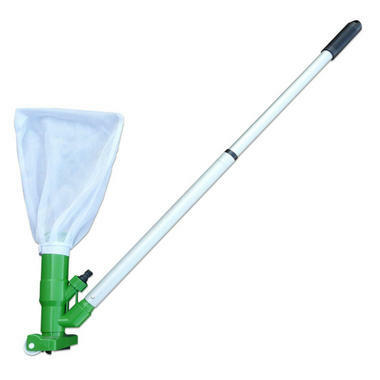 Want a simple and quick way to clean your pond, then the Tornado Pond Vac is just the job. The Pond Vac is simple to use and keeps your pond clean and clear. The Vac body connects to a standard garden hose and uses the pressure and flow of the water to create a venturi effect. 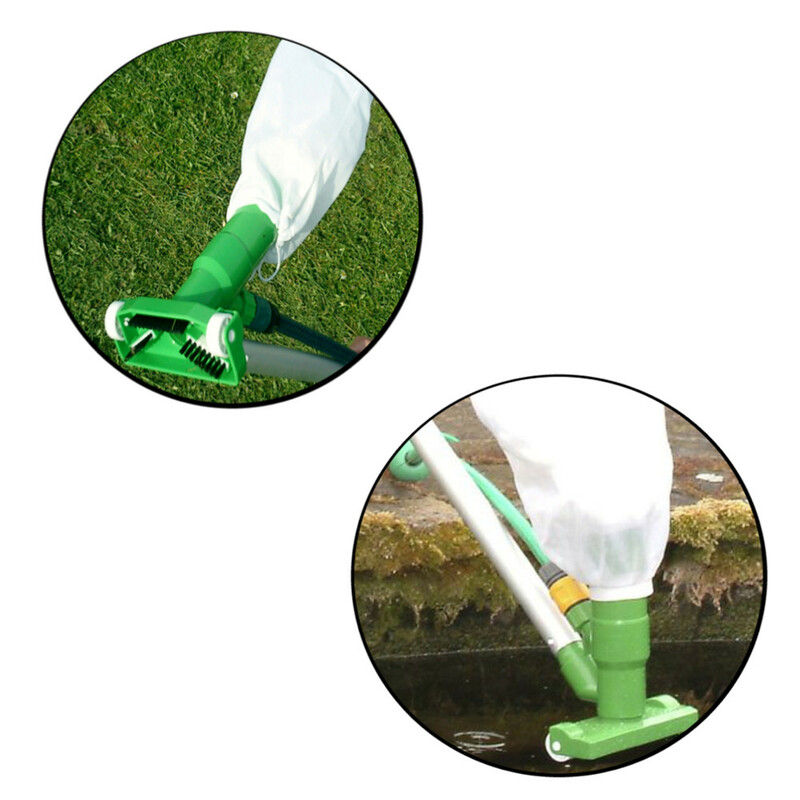 This draws in all dirt and debris effectively without causing harm or stress to the fish and plants in the pond. The debris is sucked through the vac head and deposited in the top located mesh bag. This keeps the unwanted debris secure and allows the clean water to filter through the mesh material and back into the pond. Simply detach the debris bag and deposit safely in a bin. The debris can also be used as an effective fertilizer. 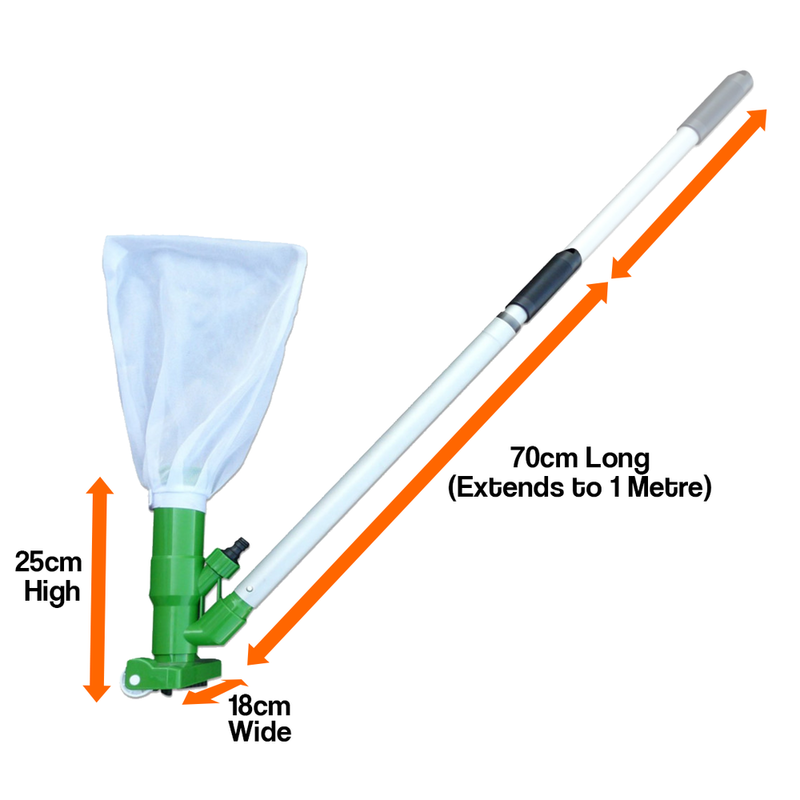 The Pond Vac comes with a special brush attachment with rollers which glide easily over the pond bottom and gently picks up the debris and waste and safely deposits it back into the mesh bag. 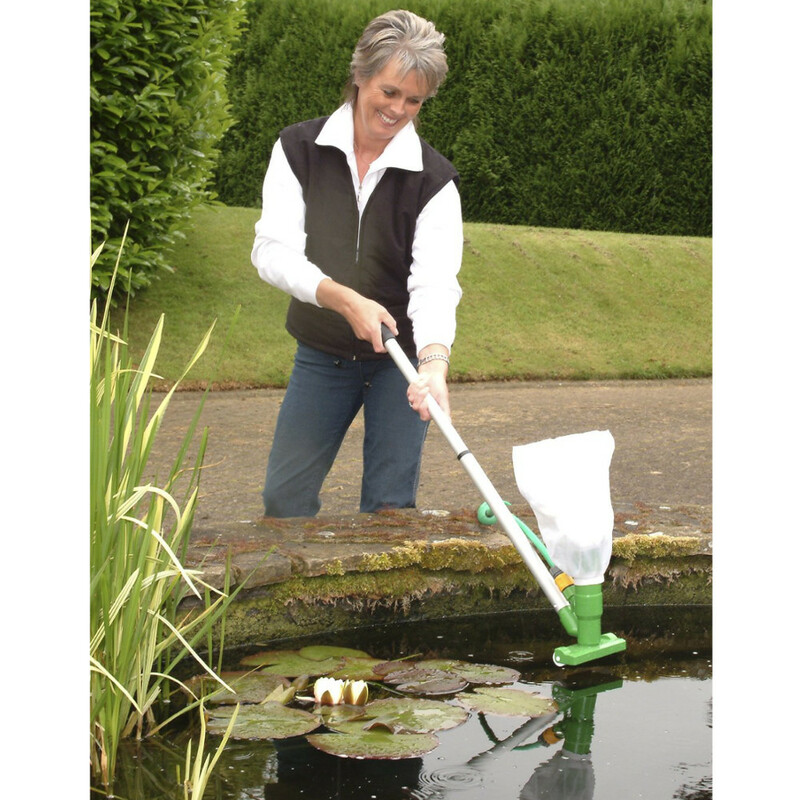 The Vac comes complete with a lightweight telescopic handle that extends to harder to reach areas of larger ponds.